The Financial Times reported that Downing Street would do all it could to block a takeover of BP. Weakened and shrunken down due to the massive, and still rising, toll stemming from the Deepwater Horizon disaster, BP could become a takeover target from one of the larger oil majors out there. Related: How Much Does OPEC Really Earn? 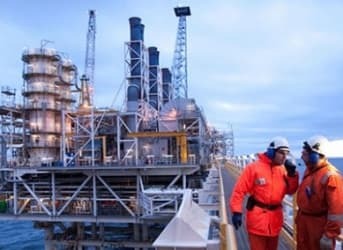 Rumors have been swirling in recent weeks that perhaps ExxonMobil or Chevron could be eyeing the British oil giant, so much so that BP’s CEO Bob Dudley had to publicly dispel any notion that his company is for sale. BP has also reportedly been war-gaming different takeover scenarios, planning on how they could fend off ExxonMobil or Chevron. Not only that, but the British government wouldn’t even support a takeover by Royal Dutch Shell, a company with deep British roots. That is because it wants two big global companies that hail from the U.K. The British government wants that to continue. But in reality, BP is a private company and is no longer owned by the British government. As such, the government would have few tools, if any, to block a merger or takeover. Admitting as much, a government official told the FT that boisterous opposition to a deal from the government, even if it wasn’t backed up with any teeth, could be enough to keep the wolves at bay. That remains to be seen. A bigger deterrent probably comes from the untold damage done from the Deepwater Horizon disaster as well as BP’s heavy exposure to Russia, where its assets face uncertain vulnerability to western sanctions. But if ExxonMobil really wants BP, it has the financial firepower to swallow BP and take on those problems.